Impulse buy. Maybe I'll use it, maybe I won't. 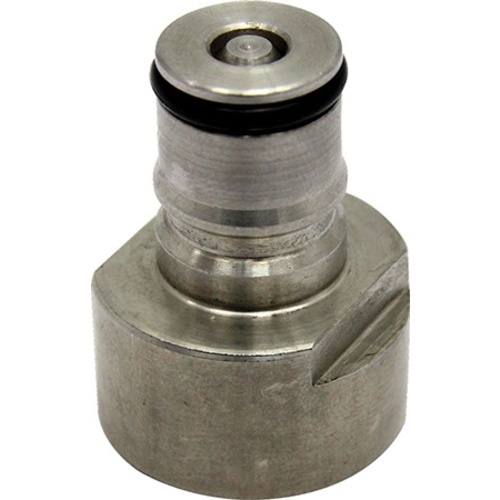 What are the difference between the gas and beer sanke adapter? I've bought one years ago, how do I tell which it is? 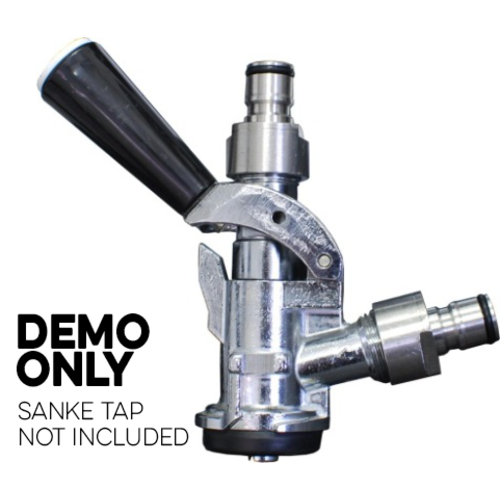 BEST ANSWER: The Sanke adapter actually has both beer and gas on it - it is an adapter that will allow you to put homebrew ball lock gear on a Sanke keg. But, the beer connection and gas connection are different as well. The gas side has a notch or etched line on it that the beer side doesn't have. Really, the physical connection is the same but it lets you know which side has the long dip tube. Also, on the adapter, it is easy since the beer is on top and the gas is on the side. It is hard to tell just by looking, but they are slightly different sizes. The beer side is slightly bigger so you won't accidentally put your gas fitting on the beer post and flood your regulator with beer. However, if you push hard enough it can still happen so be careful. The beer side has a bit if a flare before the indent for the ball lock. The gas side will have a ring at the indents for your wrench. the gas has a thin line around the top of the bottom most portion, near where the straight cuts are for tightening.